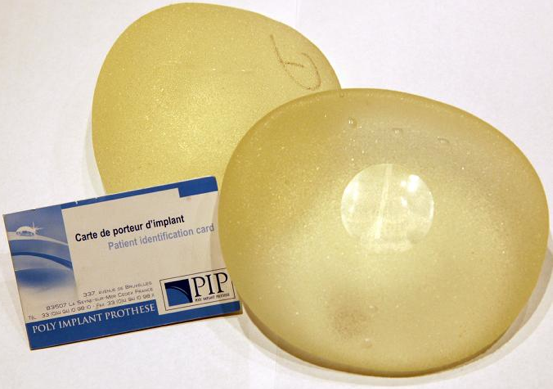 There’s more bad news for women with breast implants. Two years ago, women worldwide had their faulty breast implants removed following reports of implant ruptures, and the revelation that the manufacturer, Poly Implant Prothese (PIP) had used industrial-grade silicone. Consequently many Australian women needed to have their PIP implants replaced with another brand called Cereform which has also been recalled due to problems with sterilisation. There have been about 4,800 Cereform implants sold in Australia since 2009. Incredibly these Cereform implants come from the same distributor as the faulty PIP implants. How has this been allowed to happen? Authorities expect that many Australian women will run the risk of infection arising from their Cereform implants. One of these unfortunate women, Christine Stephen told the ABC Health reporter Sophie Scott she had not been told that her Cereform implants came from the same distributor as PIP. The Cairns woman had her PIP implants removed after one ruptured. Her troubles did not end there for she went on to develop a severe infection around her replacement Cereform implants and has had to spend $25,000 on surgeries so far. Why do women submit themselves to this risky and often unnecessary surgery? To ask such a question is to risk the ire of many who would reply that it is a woman’s right to choose to do this. But is it as simple as that? Surely this lifestyle choice makes it all the more difficult for other women to be happy with their bodies, in this case with their breasts. The media, awash with images of bigger, rounder and neater breasts, feeds our insecurities continually as does the lucrative breast implant industry. We really need to change this destructive attitude. Imagine spending around $5000 for implants! Particularly when you consider the likelihood of infection, added surgery, ruptures, connective tissue disease – just to name a few of the possible complications. Safer to stay with the real ones.